Mediation Archives - The Hart Law Firm, P.A. 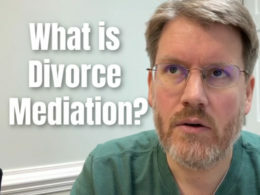 What is Divorce Mediation in North Carolina? January 25, 2019 // by James Hart, Esq. How does divorce mediation work in North Carolina? April 26, 2013 // by James Hart, Esq. September 9, 2010 // by James Hart, Esq. What is the true “cost” of Divorce? August 22, 2010 // by James Hart, Esq. August 16, 2010 // by James Hart, Esq. What is Divorce Mediation – Does the North Carolina method work? August 14, 2010 // by James Hart, Esq. Preparing for Divorce – The Final Tip: Be Good! August 8, 2010 // by James Hart, Esq.